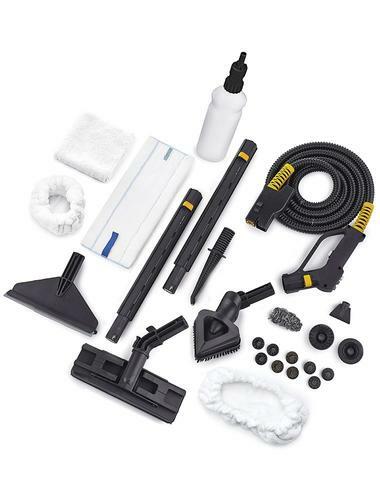 A powerful steam cleaner companion that fits in your trunk. Clean. Disinfect. Sanitize. Degrease. Deodorize. Any surface or material. Steam temperature up to 347°F / 175°C. Steam pressure up to 121psi/ 8bar . 10.5″ / 27cm Width, 13″ / 33cm Height, 16.5″ /42 cm Depth. 3L Water Tank, 600ml Detergent Tank. The Hill Injection™ is a commercial-grade steam cleaner designed for both home and professional use, producing unmatched steam temperatures up to 347°F / 175°C. 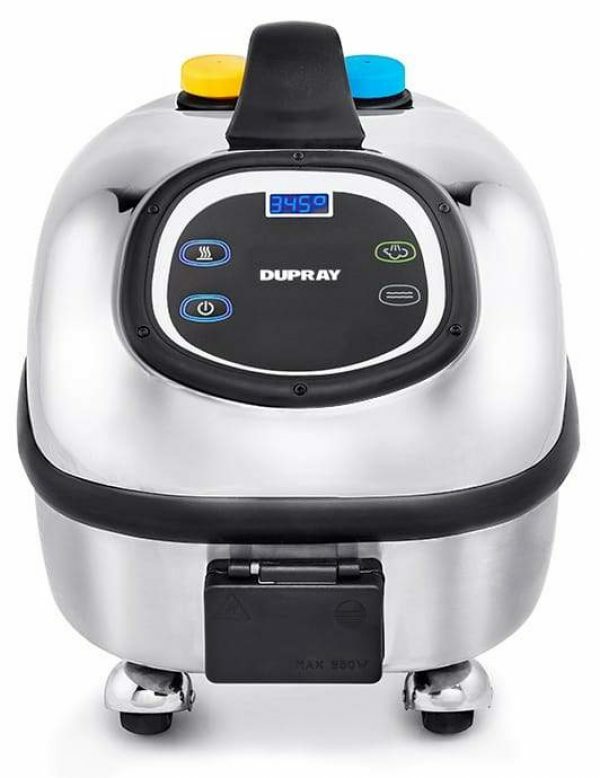 It is, without question, the most effective portable steam cleaner of its category. The Hill Injection™ excels at any heavy-duty cleaning tasks such as floor cleaning, car detailing, grout and tile cleaning, general sanitation and much more. For particularly grimy surfaces, a unique function injects a burst of ecologic detergent into the steam to help dislodge grease, dirt and stains. More power means better cleaning results – in less time! 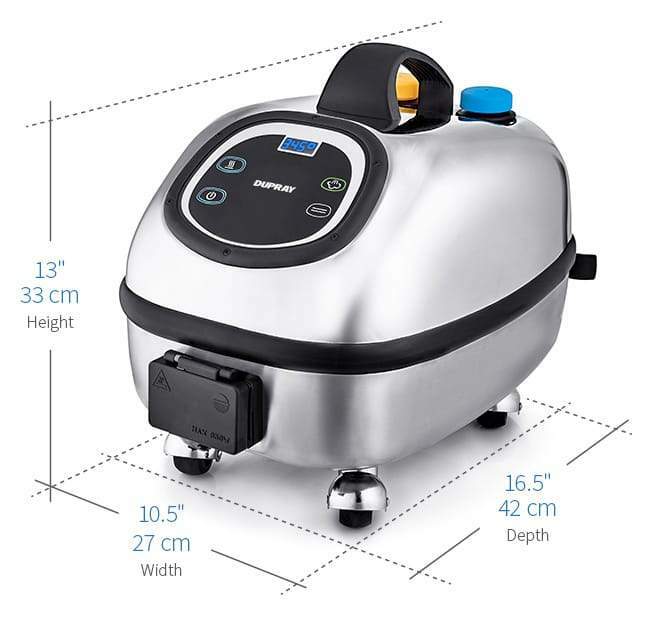 Fitted with Continuous Steam Technology and a dual-tank system allows the user to refill the steam cleaner with water at any time during operation, effectively eliminating downtime. ​The Hill Injection™ features a vibrant digital interface that provides vital information about the machine, such as the operating temperature, the steam pressure, and when a quick boiler rinse is required. Ready for any task with 25 pieces tool set. 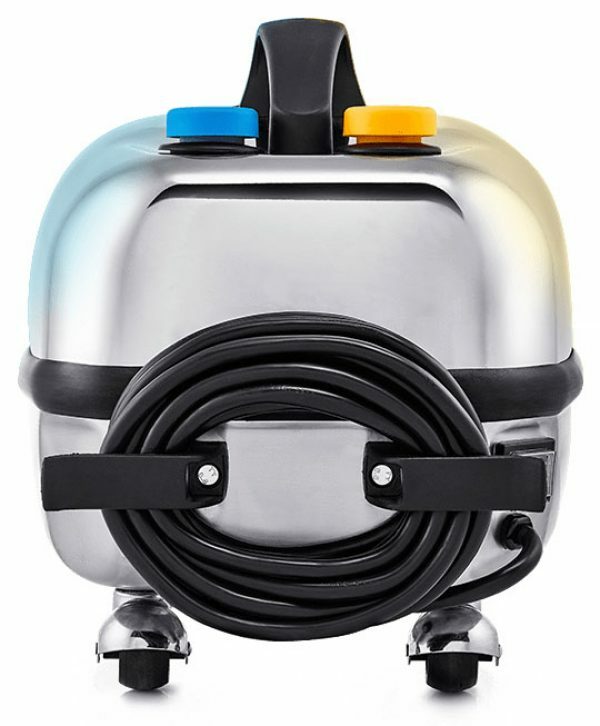 A commercial-grade steam cleaner calls for commercial quality accessories. The Tosca™ provides durable accessories and comes packed with a 25-piece cleaning kit. All accessories were engineered to be durable and to provide you with the right tool for every imagined steam cleaning job. The kit is completed by a full suite of detailing brushes – which can be replaced at the lowest replacement cost on the market. Clean and disinfect hardwood floors, ceramic tiles, grout lines, carpets, porous stones, linoleum and more.